Home sedona lace Twitter Party & Huge Sedona Lace Giveaway! Twitter Party & Huge Sedona Lace Giveaway! I've got some exciting news! This Saturday I'm co-hosting a Twitter Party with Sedona Lace. That means, tons of prizes including the Vortex Brush Collection and more! I'm excited to participate in this event since i've never done a Twitter Party before but I think it's an awesome idea and we have 10 great prizes to give away! In the meantime, RSVP to @sedonalace so we can get ready for the party! Thanks to Sedona Lace for sponsoring all the prizes. I know you all were looking for another giveaway and here's your chance to win 1 of 10 prizes! You can find all the prizes for giveaway at www.SedonaLace.com. See you at the party! Great idea. We try to be there. Although our englicsh not so good. OMG! what a great giveaway I've been begging for this kind of giveaway! dying to try this brushes! 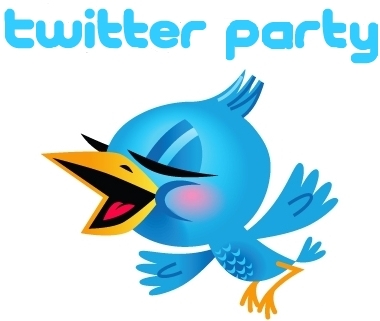 I'm so excited to the #SLTwitterParty by @SedonaLace and @makeupbyrenren Saturday June 23rd, 2012; 12pm EST- 1pm EST woot! I Tweeted my RSVP a few minutes before 12pm (EST). Hope you received it @SedonaLace! :) Newbie here. Red Bull Soap Box Race Results, Vid & Pics!